Are you looking for sales training that really works? The objective of any sales training programme is to get salespeople to improve their sales attitude, their sales behaviour and to improve their sales performance. The material presented is current and relevant and is not based on internet research but rather based on personal knowledge and experience. 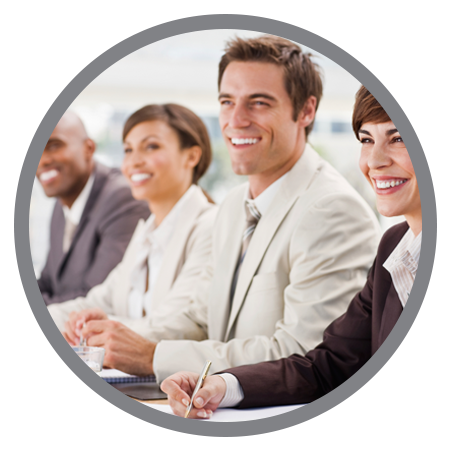 These training programmes include corporate sales training. All sales training courses are developed and presented by RAY PATTERSON. I train throughout Africa including (Cape Town, Durban, Port Elizabeth, East London, Bloemfontein, Polokwane, as well as in rural areas such as Viljoenskroon, Groblersdal, White River, Richards Bay, etc. I also train in Botswana, Swaziland, Namibia, Kenya and Tanzania. There is a comprehensive workbook / set of notes / hand-out (Depending on the intervention), which allows for adding personal notes as well as constructing an “Action plan” to start implementing the skills learned. These workbooks / notes / hand-outs can be used as a refresher whenever necessary. The workbook covers and certificates are branded with individual company logos. There are lots of group activities to allow for further customization of the material and role plays to allow the delegates to practice the skills being presented. This will ensure that there is a return on the money invested in training. Information alone is worthless: It’s the application of information that makes it valuable! 5 Key buying decisions. The importance of YOU in the sale. Become Trusted Advisors and Expert Business Partners. Communication. Communicating your message effectively. Smart questioning to establish needs / problems. Getting customers involved in sales conversations. Understanding the difference between features and benefits. Value based selling. Selling value not cost. Product presentation. Get commitment / agreement. Presenting to groups using Power Point. Presenting to the “Big guns”. Closing. Asking for the business. How to handle irate customers. The 8-step sales process (Face to face) for controlling the meeting. The 10-step sales process (Telephone) for controlling the call. The 5-step sales process (Tele / face to face) for controlling the sale. Prospecting. How and where to find new business. Tips for making successful telephone calls. Making appointments. A professional approach. Overcoming objections to appointments. Dealing with the Gatekeeper. Time management and activity planning. Key account management. Grading customers. Understanding how the 4 different personally styles work in sales. Setting and achieving personal goals in sales. Tips for improving knowledge and skills daily. A look in “The Mirror”. 20 questions to identify areas of weakness.